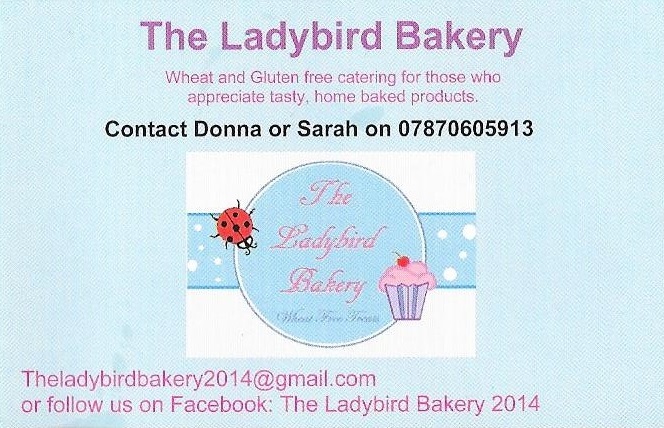 I recently heard about a new gluten free company based in Plymouth called The Ladybird Bakery. Thanks to Julie Petvin at Talking Good Food for the tip off. Naturally excited to hear about a new Plymouth based gluten free company, I introduced myself via their Facebook page and we exchanged emails so I could find out a little more about them. The good news was that Ladybird were due to appear at the Sutton Harbour Local Produce Market a couple of days later, so Abby and I braved the elements to go down and have a chat and pick up some gluten free goodies. The pouring rain meant customers were in short supply whilst we were there, but it gave us a chance to have a long chat with the Ladybird team Sarah and Donna. Donna are Sarah are mother and daughter and were both really lovely. Sarah is gluten intolerant as is her son, though understandably neither want to go through the pain of eating gluten for six weeks to be tested for coeliac disease. Donna is a baker of 23 years and has previously received requests from customers for gluten free cakes, and after discovering her grandson was gluten intolerant decided to set up a gluten free company with Sarah. Their household is now totally gluten free as a result. Donna and Sarah had a few tasters out at the market, those who know me will not be surprised to know that a headed straight for the lemon drizzle cake first! The cake was extremely moist and loaded with lemon flavour, it may be said that I’m a bit of a lemon drizzle cake connoisseur and in my opinion that was a very good one. The other taster was a chocolate truffle made from dates which was also delicious. It was good to see that there were plenty of savoury and dairy free choices on offer at their stall. After hearing about Gluten Free by the Sea, the girls kindly offered me some samples to take away which I was only too happy to accept. My samples included some lemon drizzle cake, a fantastic chocolate cupcake and some cookies. The cookies had a great crunch and were really tasty. 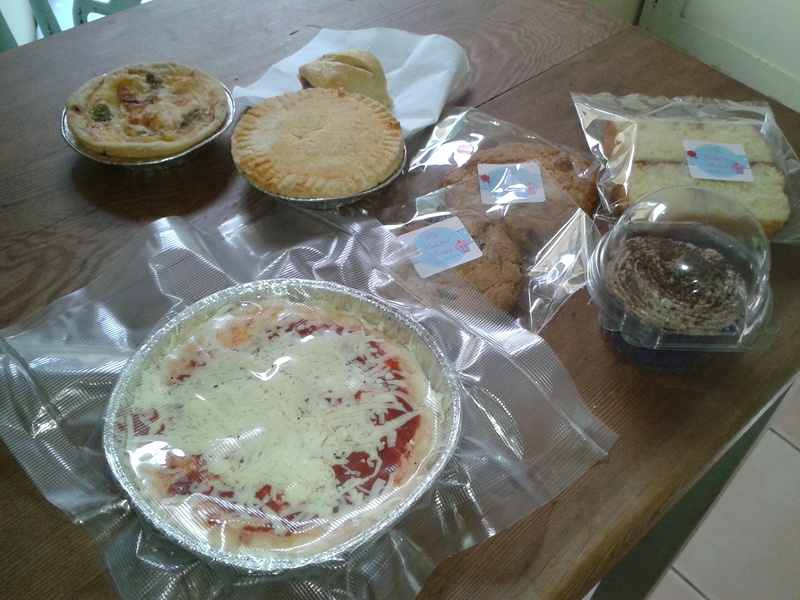 Savoury wise there was a cheese and tomato pizza, quiche, steak pie and sausage roll. The pizza was tasty but didn’t crisp up, though after talking to Donna it seems I should have removed the foil tray, doh! 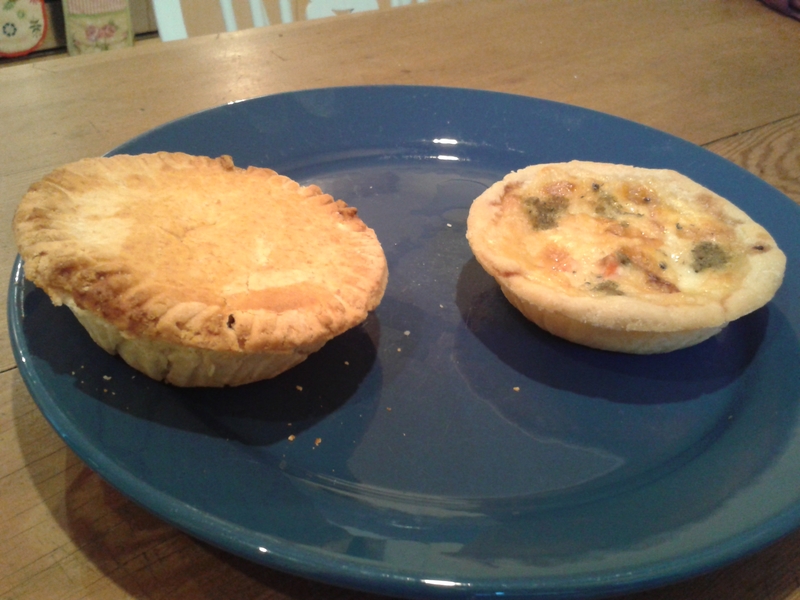 The sausage roll was also tasty and the quiche was nice and cheesy. The steak pie was nice though the pastry was a tiny bit dry and the filling could have used some more seasoning. I’ve fed this back as they were very keen for constructive feedback as they look to improve their new products. Ladybird Bakery are currently looking into the feasibility of their own shop to sell their products, and are asking anyone who has tried their food to complete the questionnaire here as part of their business plan. Completed questionnaires can be returned to theladybirdbakery2014@gmail.com. In the meantime you will find them at local markets around Plymouth and Torquay, keep an eye on their Facebook page for upcoming event dates. You can also contact Donna or Sarah on 07870 605913 or the email address above for further ordering information. I wish them both the very best of luck with their new venture, and I look forward to catching up with them again soon. 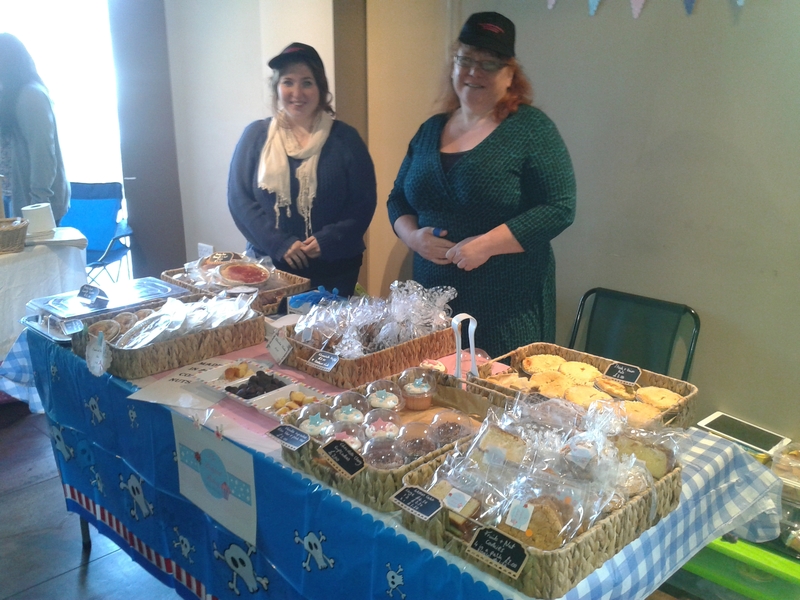 UPDATE 17/01/2015: Donna and Sarah have now opened a permanent stall in Plymouth Pannier Market. Click here for full details. ← My Gluten Free Heroes!